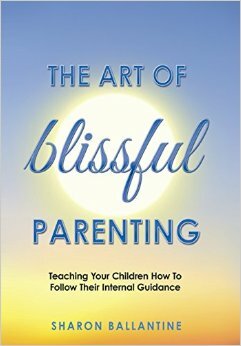 The Art of Blissful Parenting by Sharon Ballantine is a book which I recently reviewed. In the 9 chapters of the book, Sharon brings one through the journey on how you as the parent can be the best guide to your child. Blissful Parenting starts off with the Author’s journey through life getting in touch with her Internal Guidance System. Choosing what you dwell on by controlling your thoughts, one is able to actively choose to immerse ourselves . Most of us don’t realize that we can control the direction of our thoughts. This means that as they start to make us feel bad, for example, we can choose instead to think about a subject we already know makes us happy. So, as we become more practiced in paying attention to which direction our thoughts are headed in, we can choose which course to take more quickly. Our choice is this: Do we continue with the thoughts that have started to make us feel bad, or do we decide to choose thoughts that make us feel better? We can apply this process to any issue, circumstance, or person in our lives. Life is made up of personal choices. We can choose to be forward looking or live in the past. Everyday we have decisions to make which will affect our path. Kids are born with their own internal compass which has to be nurtured instead of suppressed. Even when you may not agree with their decisions and based on your experience you know that it will not benefit the child, talk it over with them so they are able to rationalize their decisions. The child has to be able to see and understand how their feelings would be if such a decision is made. Walk them through the reactions they get upon making the decision. It teaches them to be in tune with their GUT and act on their good feelings instead of bad feelings. It can be hard for a child to think and rationalize in the moment of anger. However they can are more in-tune to their feelings. They should be thought to “feel before acting”. They have to be taught how to rely on their own inner compass to guide themselves through the obstacles that they may encounter in their lives. Rather than pronouncing a certain behavior “good” or “bad,” we can pose this question to our children: “Does this decision (or action) serve you or not, meaning does it take you in a direction you want to go?” What do I mean by an action or decision “serving you”? If you feel good about your decision, and you made your choice when you were in alignment, then it serves you in some way; if it does not feel good and the choice was made when you were not in alignment, then it doesn’t serve you. I could really relate to this passage. As through stereotyping behavior we not only rob our child of their ability to make their own decisions and make it difficult for them to fine tune their IGS. Parents should always strive to lead by example and show our kids that we do not need to react to every life challenge. We are the ones who decide on our emotions and whether to react or not react in a given situation. We are given a choice on whether we should react positive or negatively. Blissful parenting is an active choice on the part of the parent. It is a delicate balance between letting the child have his freedom to grow and giving the guidance that he needs to achieve his independence. Reading the book was certainly an eye- opener for me. It is a scary thought not to be in control and to let go when it comes to your child. You wish to shelter him however you do know that you do need to give him the opportunity to develop his own internal compass as he needs to rely on it throughout his whole life. I certainly recommend that you pick up a copy of this book if you are interested to learn more about the Art of Blissful Parenting.